A key component in the Connect workflow is the link between a service note and the information regarding where, when, and with who the service took place. As part of the underlying audit workflow, it's crucial that service notes are linked to the contextual information regarding the service for better provider agency management. Today, this post will review some of the highlights in the schedule and notes section of Connect. For this month’s blog post, I want to share an incredible story that was told to our team during our 10 year anniversary party a few months ago. If you ever doubt the courage or conviction of Direct Service Professionals, you won't after this. Probably one of the hardest tasks for any provider agency is managing your employees' schedules and the process of allocating resources to appointments and what to do when the appointed resource can't make their shift. 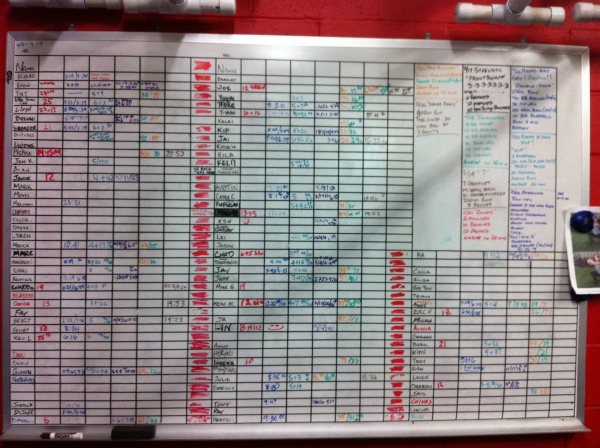 Whiteboard schedules like the one above are a common way to manage the in and out of employees to give schedulers a "big picture" on what's happening. Being unorganized in this area of your business is extremely detrimental to the success of your agency. 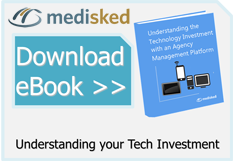 Do you know how many missed appointments your agency averages a month? Do you know the most common reason why appointments are missed? Do you have a process in place to re-allocate a qualified employee to cover a missed shift? What is the damage to the brand of your agency when you don't show up when you are supposed to? This area of service is so important to your agency that even if you have mastered the art of whiteboard scheduling, looking at more efficient ways to control your schedule and get real analytics from it will make you a better agency. Here are 5 reasons why investing in a scheduling software solution will make you a better agency.